Penang food has never ceased to amaze me. Or any self-respecting foodie for that matter. The abundance of hawker stalls selling famous street food at dirt-cheap prices (ok, maybe not ALL but still, a lavish meal of everything will never cost you an arm or a leg), the flourishing number of restaurants and cafes on the island, and not to mention the wide array of cuisines, a perfect epitome of REAL 1Malaysia concept, whereby you’ll see people of all races hanging out at Mamak stalls more often than not. Anyway, I wrote about Azuma Japanese Restaurant @ Queensbay Mall before, the much-relished, celebration feast after the much dreaded 5 days of imprisonment on an island known as Langkawi. So let me just share some photos of the food we had this time around, for a quick lunch in Queensbay Mall. If you’re wondering what the heck were we doing eating Japanese food in Penang, when people from all over the world visit the island for her signature street foods, think again. When the weather’s darn scorching, and you’ve jostled, elbowed, gnawed your way into the over-crowded shopping mall equipped with air-conditioning at full blast, you probably will not think of driving out anymore tp search for hawker food on the streets of Penang. Still, Azuma serves reasonably priced Japanese food, and worthy of a visit for the slightly unorthodox dishes, such as their pizzas with a crispy base made from battered rice cakes, and the sushi rolls (maki) with melted cheese. From time to time, they will be holding special promotions to cater to the eager gluttons in and around Penang. For instance during this visit, we got to purchase a set of Shake Sashimi (Raw salmon cuts) at RM10/USD2.80 only, when the usual serving retails for RM25/USD7. 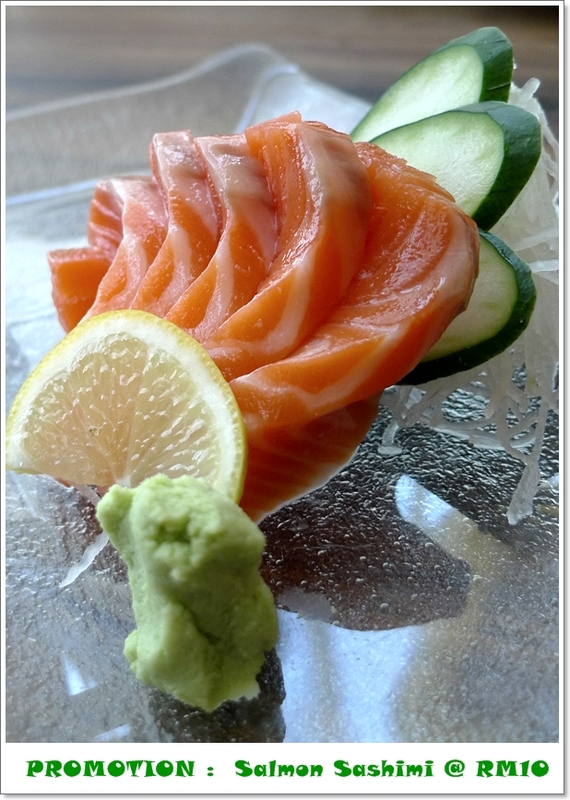 Five thick slices of fresh, fatty salmon, what more can one ask for? Okay. More of Penang Street Food in the next post. For now, let me rest my aching back. 6 hours of non-stop journey can be really, really detrimental, I tell ya ……. 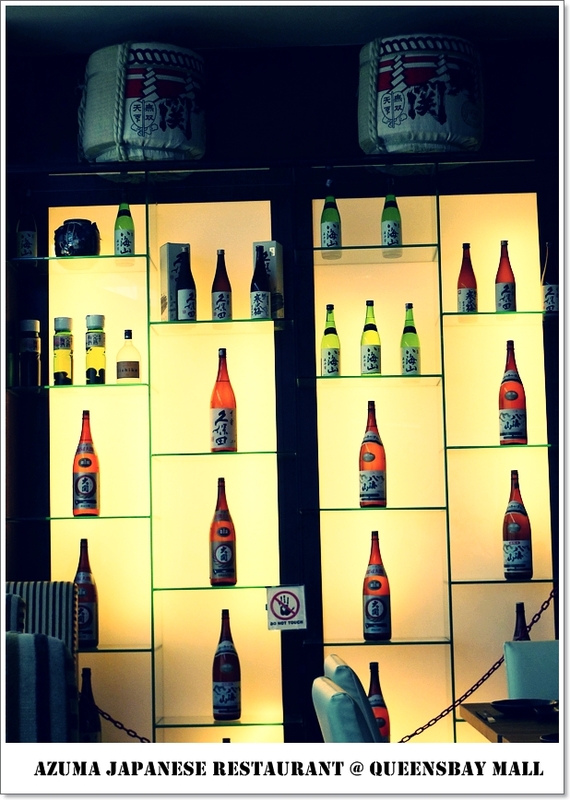 Must drop in to Azuma again. The pizza looks great with all the combined ingredients. 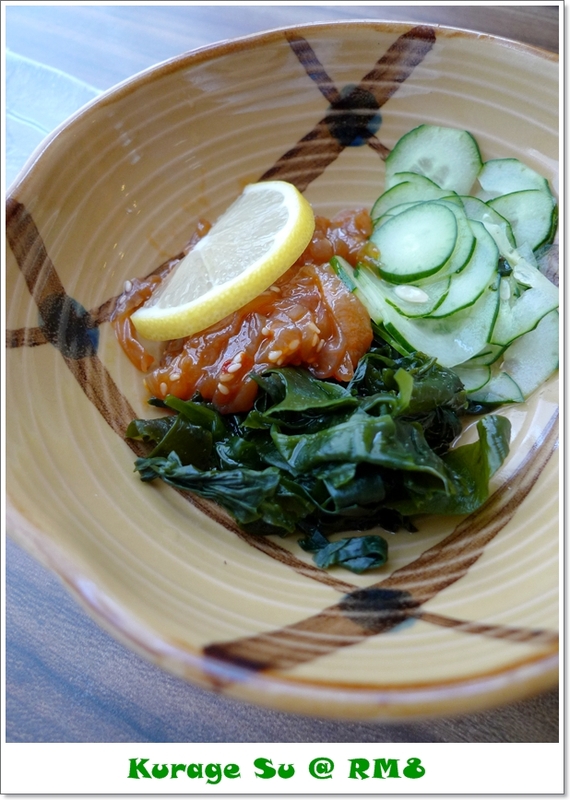 Not really into Japanese food – expensive and I would much sooner go for other cuisine. 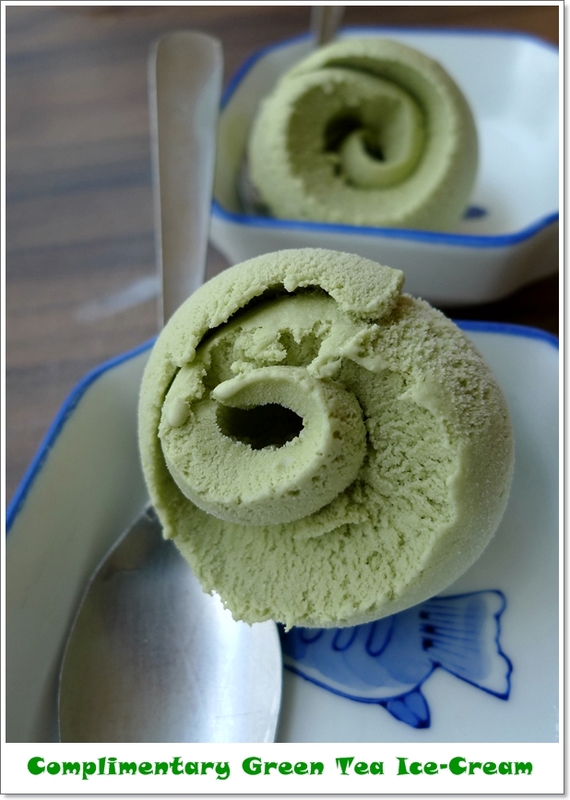 The ice cream looks like wasabi. Btw, I clicked the link to your Langkawi post. You went for that currently very controversial BTN course? Somebody I know just went to one – a total waste of money…and a whole lot of crap! Hard for me to comment here, for obvious reasons. It was NOT the most exciting of program that’s for sure. But the free trip to Langkawi, and then a night stay in Penang, kind of made up for it. on Macalister, the Sister’s? Aiks, that one a bit over-rated. For me at least. Lor Bak at Kheng Pin is good. probably the best on the island. just had jap lunch today but not as luxury as urs! the azuma zushi pizza is looking super yum! 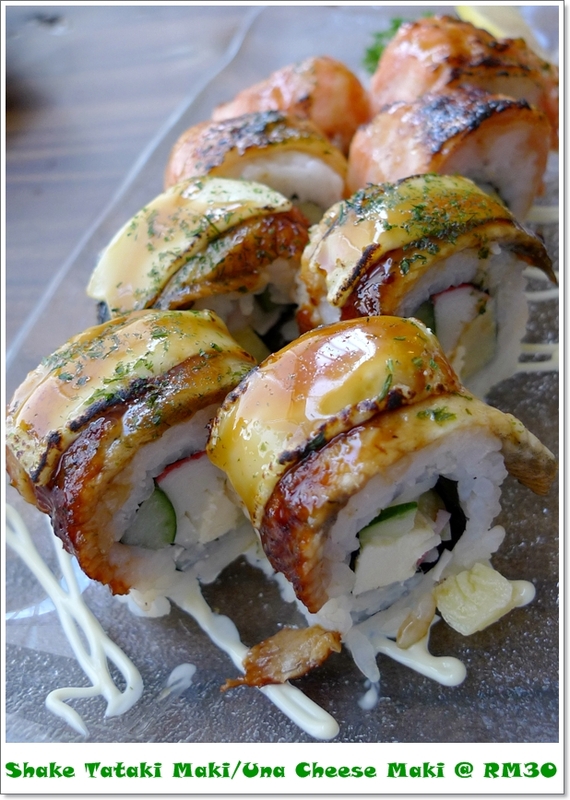 Not luxury lah, compared to the outstanding platter of sushi back in April, after the ‘detention camp’ ……. The Azuma Zushi pizza is driving me nuts! Now going to dig okonomi yaki to suppress the crave. .-= email2me´s last blog ..International Celebrity Chef Martin Yen Cooking Live in KL Starhill Gallery =-. .-= Elin´s last blog ..Ginger Braised Chicken Legs =-. I went at the beginning of this year. 5 days in the camp. Not that unbearable lah, but still …. 5 days a little long. And my first visit to Langkawi some more. How memorable. .-= Yatz´s last blog ..Sri Karak Restaurant @ PJ State =-. .-= cumidanciki´s last blog ..Movie – Inglourious Basterds (2009) =-. I wanna go there to one day. 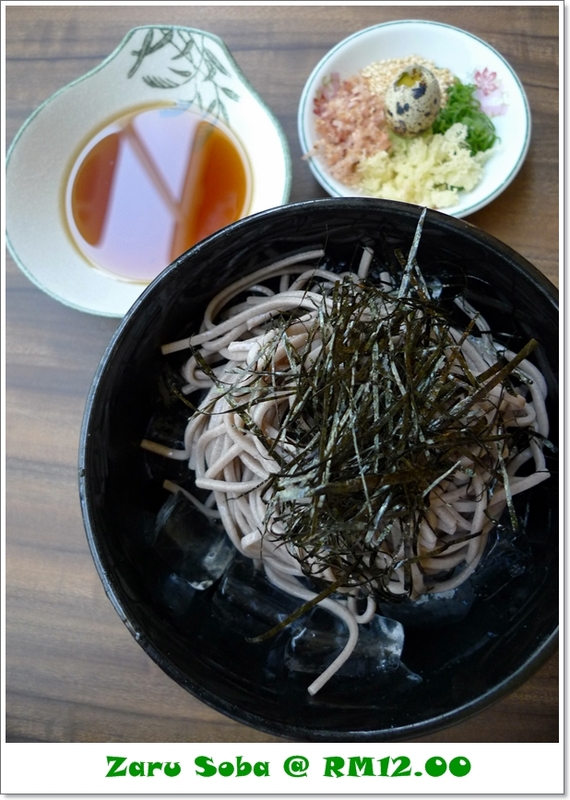 :p The other day I had this soba drenched in “cold soup” Yucks! :p Perhaps I don’t know how to appreciate it. Hahha, the weather is amazin isnt it? Its much hotter there than KL I tell you! And that pizza is FREAKING AMAZING! 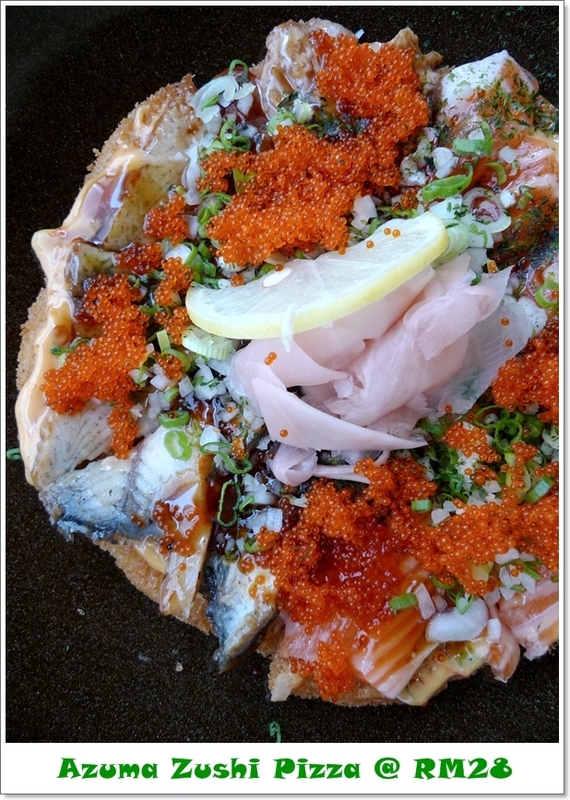 Sashimi for RM10… perhaps salmon season hits us and it is time for some salmon party…..
.-= PenangTuaPui´s last blog ..The Braserrie – Festive Semi Buffet Lunch – Traders Hotel =-.